State Tree of Andhra Pradesh – complete detail – updated. Description of State Tree of Andhra Pradesh. 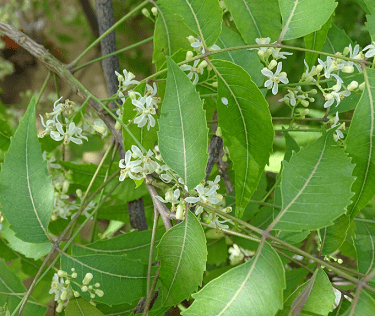 Name of the State Tree of Andhra Pradesh is Neem. 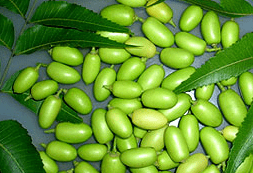 Neem gum is used as a bulking agent. Its wood is used to make the furniture. All parts of Neem tree used as anthelmintic, anti-fungal, anti-diabetic, antibacterial, antiviral, contraceptive and sedative. 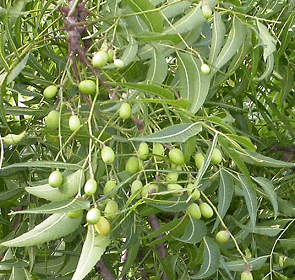 Neem is a fast-growing tree that can reach a height of 15–20 m, rarely to 35–40 m. It is evergreen, but in severe drought it may shed most or nearly all of its leaves. 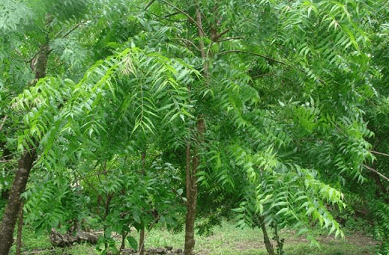 Neem tree is of great importance for its anti-desertification properties and possibly as a good carbon dioxide sinks. Neem products are cheap and non-toxic to higher animals and most beneficial insects, they are well-suited for pest control in rural areas. Azadirachta indica is a tree in the mahogany family Meliaceae. 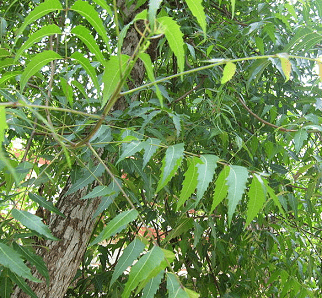 Neem is a fast-growing tree that can reach a height of 15–20 m, rarely to 35–40 m. It is evergreen, but in severe drought it may shed most or nearly all of its leaves. The branches are wide spread. Neem is found in India, Burma, Bangladesh, Sri Lanka, Malaysia and Pakistan, growing in tropical and semi-tropical regions. Its wood is used to make the furniture. The bark of the yields the fiber that is woven into ropes. Neem cake is widely used in India as fertilizer for sugarcane, vegetable and other cash crops. 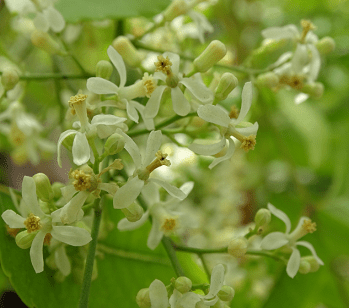 Many countries have been consistently growing the Neem tree against the global warming.